The V-Strom headed to Suzuki for its 7500-mile service the other day and I was quite proud as the bike clicked 7503 as I rolled up to Suzuki’s Milton Keynes workshop! Sad, I know, but that was completely by chance! The Strom has held up pretty well over those 7500 miles. The only little glitch I had was a fault light came on after I’d had the heated grips fitted, but all that had happened was a sensor had been nudged as the bike was put back together – it was fixed in an instant. 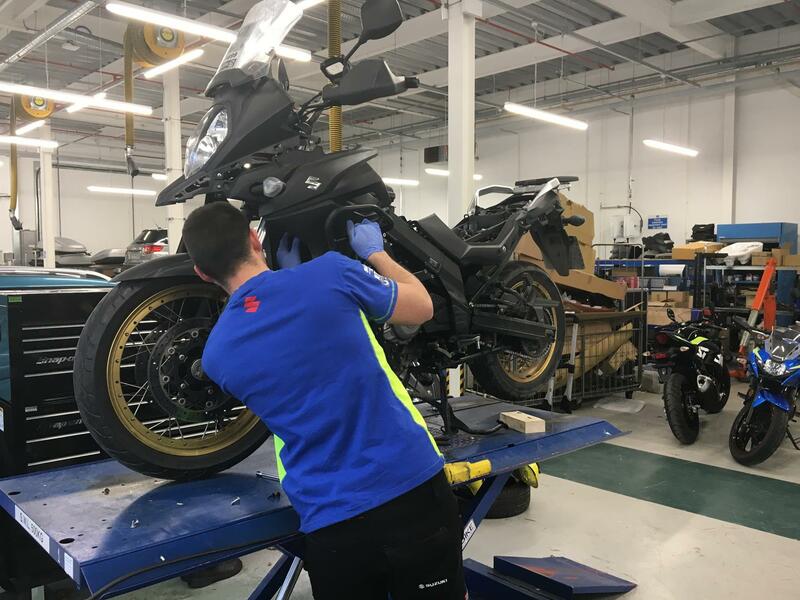 The service was a two to three-hour job, covering an oil and plug change as well as a thorough check over most of the bike. The clutch had become a little slack so they also adjusted that too. The cost came in at £284, which was around what I was expecting for a 7500-mile, first proper service. The timing couldn’t have worked better, heading into winter fresh from a service is good for peace of mind!